Prepare to earn a payslip for a tough day's work on Switch this year. No More Robots will release Not Tonight later this year. Set in an alternate version of the United Kingdom, the satricial adventure sees players serve as a bouncer for pubs, parties, and other establishments to earn enough money to stay in the country. We really need to apply Wheel of Fortune rules to some of these releases. As befitting the last days of the fiscal quarter - and in most cases, the fiscal year - there's a healthy lineup of new titles to get you hopping into the Easter weekend. The big ones are a couple of RPGs - The Alliance Alive for the 3DS, since *someone* wants to still localize things, and the Atelier series returning to Nintendo platforms. No word on the end of the sudden JRPG obsession with atomic bombs. A modern take on the JRPG will be available in a couple of weeks. Publisher Crunching Koalas have confirmed that Regalia: Of Man and Monarchs - Royal Edition will be available for the Switch on April 12 for US$24.99. Originally, the game was tabbed for a Q1 release date. A modern take on the JRPG, Regalia is a 40-50 hour long JRPG, and the Switch edition will have new characters and content in its "Royal Edition". A Slime approaches... very slowly. Nintendo fans will have a long wait for the next Dragon Quest title. In a statement following the confirmation today of Dragon Quest XI's overseas release for PC via Steam and PlayStation 4, Square Enix confirmed that the Switch version is coming "much later" while the 3DS version would not be localized. Get your bird, fish, and galaxy-destroying monstrosity on. Dream Land residents can now bring in some long-lost friends as Star Allies. The version 2.0 update for Kirby Star Allies is now available for download. The update adds in five late 90s Kirby characters, as promised in the last Nintendo Direct. Rick, Coo, and Kine from Kirby's Dream Land 2, Marx from the Kirby Super Star games, and Gooey from Kirby's Dream Land 3 can be summoned at Dream Palaces throughout the game. Don't shift out of this timeline. Spike Chunsoft's new North American publishing branch has a couple of Switch titles ready for this year. PixelJunk Monsters 2 from Q Games will be the first to launch on May 25. The original title was a 2016 Wii U eShop release, and the sequel to the tower defense title will have four player online co-op. We're really dancing around that word. Switch parties had basketball, and now they've got a new sport to toy with. ClusterPuck 99 will launch next Thursday on the Switch eShop in all territories. Pricing has been set at US$9.99/€8.49/£7.69/¥1100. Up to 8 players can play locally in multiplayer and try to score while dodging dangerous and often fatal obstacles. Stat tracking and instant replays are also available. Time to give Glass Joe his 19th loss. Nintendo's Arcade Archives will add its third title next week, according to a Hamster livestream. The Arcade Archives version of Punch-Out!! 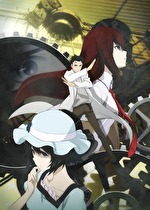 has been announced for a March 30 release in Japan. Traditionally, Hamster Arcade Archives releases have released worldwide on the same date. The biggest mystery is if my debit card will actually work on the Wii Shop. IMPORTANT NOTE: For those looking to buy off the Wii Shop, points can only be added to the shop until Monday at 1pm Pacific time. Purchases with points will work until January, but the points must be loaded by the deadline. Nintendo has announced their first plans for E3, and we will have an extended look at the next Smash Bros game. A pre-launch tournament for Super Smash Bros Switch and the first Splatoon 2 World Championships will be held in Los Angeles on June 11 and 12. The Smash Bros tournament will be an invitational, similar to a tournament held before the release of the Wii U and 3DS versions in 2014. How do you get a giant dinosaur game running on Switch? Life, uh, finds a way. The Switch will be getting slightly prehistoric before the year is out. Studio Wildcard announced in a State of Unreal Engine event at the Game Developer's Conference that their dinosaur-focused exploration title ARK: Survival Evolved will release on Switch. Currently, the game is slated for a fall release both at retail and on the eShop. Wash away the post-E3 blues with a big ol' RPG. 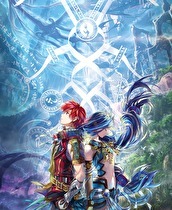 Ys VIII: Lacrimosa of Dana is coming to the Nintendo Switch in North America on June 26, in Japan on June 28, and in Europe on June 29. Apparently the key to Bayonetta charting is to be on a system people like. The US sales survey from the NPD Group is out, and it's another record breaking month for Nintendo. In the hardware race, the Switch trailed behind the Monster Hunter World-fueled PlayStation 4 in February, but did sell enough to have the largest first-year sales of any system in the history of the NPD tracking. No sales numbers were given for individual consoles. One of which was coming to Wii U back in the day. Undertale came to Switch as a result of the GameMaker engine, and multiple games are also joining the party. And runs through them in about ten minutes. Nintendo's latest Nindies Showcase video was a brisk one, featuring announcements of 16 new games hitting Switch throughout 2018. And a physical release that actually includes a Switch card, hallelujah. Sonic Mania will be getting an expansion this summer, with new friends and a new format. As developers confer, the eShop will expand further. 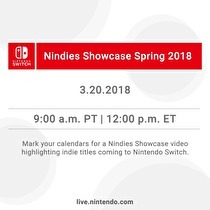 The next Nindies Showcase will hit the airwaves early next week. Nintendo has confirmed the video will launch on March 20 (Tuesday) at noon Eastern or 9 a.m. Pacific time. The video is timed to launch as the second day of the 2018 Game Developers Conference kicks off in San Francisco. The previous Showcases aired on February 28 and August 30 of last year, and were hosted by third party relations chief Damon Baker. Say "Hiiiiiii~" to this week's motley collection of releases. There's usually a "sucking up all the oxygen" joke to be made whenever a Nintendo first party retail game drops, and it's especially bad when it's a Kirby game. Star Allies, the first Kirby title to drop at the magic US$60 price since, uh, Kirby 64, is the big release of the week, though I'll be putting most of my time into tinyBuild's Cluster Truck. Profanity not included. CommanderVideo reporting for duty once again! The middle of May has added another big hitter. Runner 3 has been announced for a May 22 release, both on the eShop and in a physical version distributed by Nicalis. The physical version will include a 3" soundtrack sampler, a full-color instruction manual, and a PVC character strap. But not as limited as you think. Limited Run Games has announced their first on sale date for a Switch title, and it's a trippy adventure. The boutique retailer will open preorders for a Switch card version of Thimbleweed Park on Friday, March 30. Traditionally, preorders have opened at 10 a.m. and 6 p.m. Eastern time.